The game features a new mode called MyLeague that lets you play both single season. This new added customization has no RPG elements, such as the conversation system and press conferences. It is exclusive to Microsoft Windows, Xbox One, Xbox 360, PlayStation 3 and PlayStation 4. 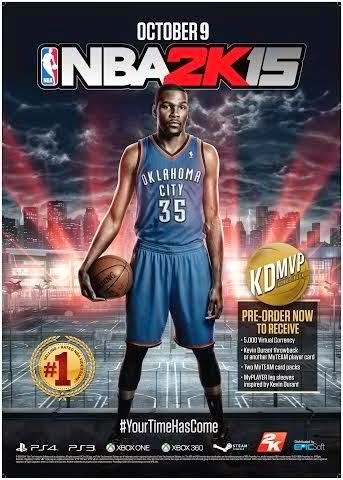 Meanwhile, MVP Kevin Durant of the Oklahoma City Thunder covers the campaign materials of the NBA 2K15. Pricing and availability of the game in authorize stores/retailers are not yet revealed.